Karachi University students Jamil and Yusra are deeply in love. Each nobly bred and determined to achieve independence, the young Pakistanis hastily marry against their parents' wishes and leave their future precariously hanging in the balance. 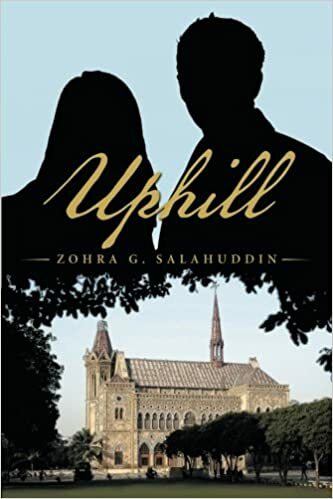 From the posh drawing rooms of Clifton to the modest dwellings in Gulshan Iqbal, Uphill is a riveting tale of love, friendship, sacrifice, and suffering as a young Pakistani couple fights for their marriage, peace, and acceptance. Cassandra's Review- Common but not bland, this story is unique in the writing but the tale has been shared many times. I felt that as far as finding something that has never been written about this author did not. The author took her story and created a way to make it fresh and interesting. The way it combines the characters and events, you could easily get sucked into this drama filled romance with a twist.